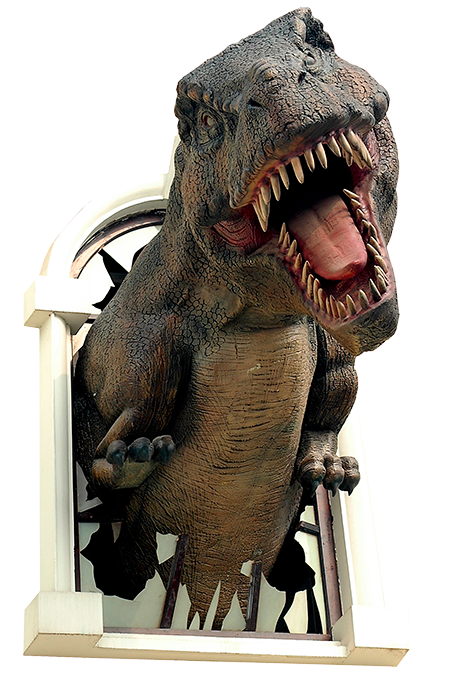 Apologetics Press - God Created Dinosaurs—And They Didn't Evolve Into Birds! 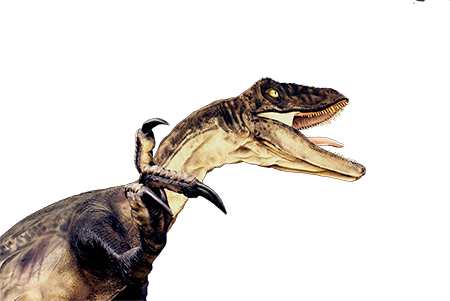 The word dinosaur means “terribly great or fearfully great lizard.” And that is just what the dinosaurs were, at least some of them, such as T-Rex that could eat a single bite of meat that weighed hundreds of pounds. But some of the dinosaurs were only about the size of a small dog, or even a house cat. They came in many shapes and sizes and were a fascinating group of animals. The dinosaurs were land-living creatures, so that means that God created them on day six of Creation, when He made all of the other land-living animals. God also made man on day six. The word dinosaur is used to describe a group of reptiles that lived on land. There were other huge reptiles that God created that lived in the oceans or seas. While these may have looked something like dinosaurs, they are called marine reptiles and would have been created on day five of Creation. During the first week of Creation, God also created flying reptiles such as Pterodactyls. These would have been created on day five with the birds and other flying creatures such as bats. Most books or articles about dinosaurs do not tell the truth about God creating these marvelous creatures. They give false information that dinosaurs evolved over millions of years from other, lower animals. The problem with this idea is that it violates one of the most fundamental laws of science—the Law of Biogenesis. The Law of Biogenesis says that all living creatures reproduce after their own kind. You know this law very well. When a dog has babies, what does it give birth to? Baby cats? No, dogs always give birth to puppies. 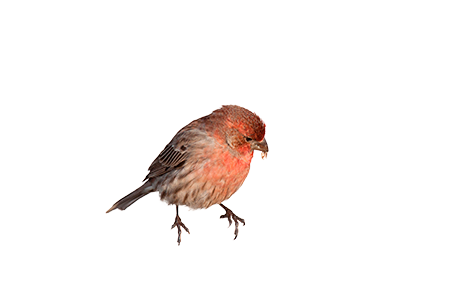 When a bird lays an egg, what hatches out of it? An animal that is half-bird and half-monkey? Of course not. Birds always give birth to baby birds. Since we know that the Law of Biogenesis is true, we know that dinosaurs could not have evolved from lower animals. They had to be created by God. But did you know that some people teach that dinosaurs evolved from lower animals, and then those dinosaurs evolved into birds? Yes, some people say that the birds that you see flying around in your yard are really little feathery dinosaur relatives. They say that dinosaurs evolved over millions of years into birds. There are several problems with this. First, it would violate the Law of Biogenesis. If a dinosaur lays an egg, what always hatched out of that egg? Dinosaurs, of course. No dog, cat, bird, or half-dinosaur/half-bird creature ever hatched out of a dinosaur egg. Second, God created birds a day before He created dinosaurs. Birds are flying creatures that God created on day five of Creation.Dinosaurs are land living creatures that God created on day six. If birds came before dinosaurs, then dinosaurs could not have evolved into birds. Third, some scientists say that they have found dinosaur fossils with feathers on them. Even if they had, that would not prove that dinosaurs evolved into birds. But they have not. It is true that some dinosaur fossils have little structures around them that look something like whiskers, but they do not look like feathers. In fact, we have found bird fossils that do have feathers on them. When we compare the bird fossils to the dinosaur fossils, the little whisker-like structures do not look like the feathers. The scientists who want to teach that dinosaurs evolved into birds call these structures “protofeathers.” The term “protofeathers” means: structures that come before feathers. They gave these structures this name, not because they look like feathers, but because they want to teach that dinosaurs evolved into birds. The truth is, the structures do not look like feathers and should not be called “protofeathers,” because birds already had feathers a day before dinosaurs were ever created. The Bible and true science fit perfectly together. The account of Creation in the book of Genesis agrees with every real fact we know to be true. Dinosaurs are amazing creatures that God created one day after birds. They could not have evolved into birds.